Welcome to ForeignCorrespondent. Today it is my pleasure to introduce Gwen Plano, a member of the Rave Writers International Society of Authors, an organization of professional award-winning authors. 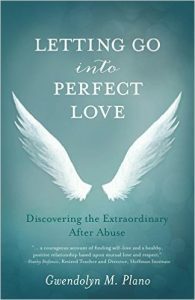 Gwen is the author of Letting Go Into Perfect Love and is one of 19 authors on the RWISA’s inaugural Blog Hop which began Monday, Feb. 13 and which continues today and through Saturday. 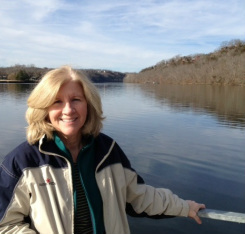 Join Gwen as she talks about the writing life, its challenges, and its rewards. Hop On & Enjoy! As a child, I wrote stories and shared them with my siblings. During my professional years, however, I mostly wrote reports, newsletters and otherwise kept personal journals. I now write at will because I am retired. I published my first book in 1998: Beyond Boundaries: Student Volunteers in the Developing World. It was written for college students enrolled in Jesuit universities, where volunteerism is strongly encouraged, and it was never on Amazon. 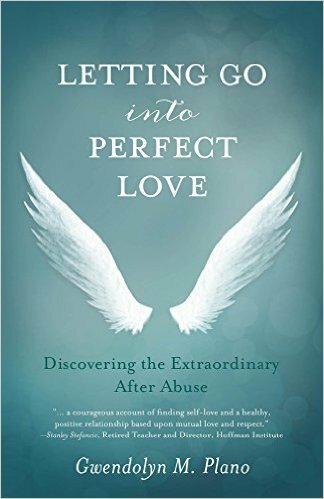 My second book, Letting Go into Perfect Love, was published in 2014. My most productive time of the day is early morning. I’m typically at my desk by 4:00 am. By 5:00 pm, I’m ready for a glass of wine. I suspect I was accepted because I am a careful writer, attentive to the craft itself. I am alert to grammar, as it can spotlight or undermine the story. And, I love words – their power when carefully placed, their beauty when used effectively, their sound on the page. When I write, I reread several times and listen. Writing isn’t simply visual for me, it is also auditory, and I need to hear the rhythm the words create. I care about my writing. I don’t write to produce; I write to create something beautiful. I would love to spend the day with Maya Angelou. Why? She shared her heart with all of us, and in doing so, she freed writers (particularly women writers) to address the hidden hurts of our lives. And further, she manifested for all to see – her extraordinary beauty, sculpted from pain and struggle. I am forever indebted to this amazing woman. I am published through an INDIE hybrid publisher, which has left me with no control over my work. My next books will be self-published. I will have completed two more books. RRBC has been home to my book for two years. Its programs have provided much-needed exposure, endorsement, and support, for which I am deeply grateful. A tool that I use regularly is Twitter, accompanied by the Club’s hashtag. There are several writers I could recommend, but there is one whom I particularly believe deserves the accolades of RWISA: John W Howell. My reasons for recommending him are multiple. He is a serious writer, one of the most committed writers I’ve ever met. He demands a lot of himself, in that he keeps a stringent writing schedule and carves out time for classes related to his writing (i.e., screenwriting). What is the one piece of advice that you could share that would be most valuable for those aspiring to not only be writers but those aspiring to be great writers? Structure your story with your mind, write through your heart. By this I mean, know where you are going with your story and what you want to achieve; then, write from the heart – through the shadows, the whispers, the fears, the confusions, the tears, the loves. Stay in your heart, as it will give life to the story. Do you believe that writers who churn out several books a year are putting out quality work? Some writers are far more capable than I am and conceivably could publish several books a year. That said, most of us require time to both write and edit a book worth publishing. I could not publish a book that was not ready for the public to read. I consider it a responsibility to offer the best I can. A book is part of a writer; it needs to be the best part. A great book is one that lingers, stirring emotions and painting scenes through well-chosen phrases carefully edited and positioned. I would thank the person for pointing these out to me, and I would then quickly edit my book. Since my book was first published as a paperback and later put on Kindle, I’ve always worried about the transfer of the manuscript. Some authors complain of misspelled words and other errors due to putting their book on Kindle. Writing is a solitary experience, but this does not mean it is a lonely experience. We writers are surrounded by characters, real or fictional. Often they awaken us in the early morning and keep us befuddled until late at night. When I wrote my memoir, my office was peopled with aunts, uncles, grandparents and other loved ones who are deceased. Even spiritual leaders of centuries past visited and lingered, clarifying points and asking about others. Sometimes it felt as though I was a court recorder, trying to keep up with the chatter, the insights, and the messages. Recently, fiction authors Beem Weeks and John Howell joined me on the RAVE REVIEWS BOOK CLUB BlogTalkRadio show, Aspire to Inspire. The topic was character development. As I listened to them, I realized that their stories were no different than mine – at the heart at least. They described how the characters took on a life of their own, even though they had crafted them to be one way or another. In a memoir, the principle character is the writer; but, the writer is not a static entity. As the tension between the past and present softens, the writer evolves. Time lapsed and time present create another reality if they are attended to. I wrote my early chapters as one person, and my latter chapters as another. Between these two benchmarks was life, its horrors, and its extraordinary beauty. There were times that I thought I simply could not continue, but much like watching a powerful movie, I walked away – moved, changed, more aware, and ever so grateful. I suspect all authors can claim the same, whether they be fiction or nonfiction writers. Because of the journey we have so bravely embarked upon, we are transformed – one word at a time. Join me again down the road for another RWISA Blog Hop and feel free to share this.